CHRIS Brown is being sued for bullying by a fan. 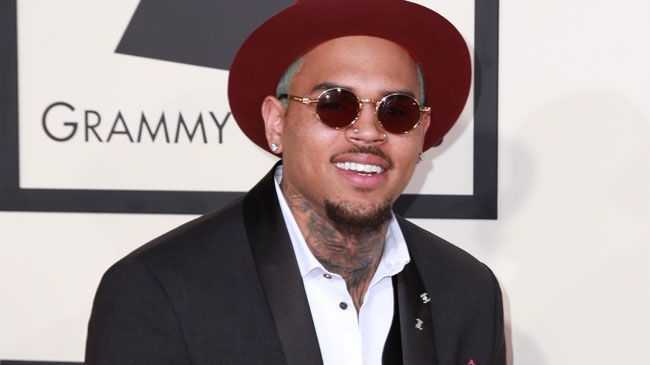 Marq Stevenson, who attended the 27-year-old singer's concert in Dallas last year, claims that Chris' entourage bullied him and stole his hat after he tried to get the star to sign it, TMZ reports. Now, Mr Stevenson wants $2,500 for the alleged bullying, $25 for the hat and $225 for his concert ticket. He claims he handed the hat over to get signed but it was never returned to him. This is just the latest blow for Chris after Nia Guzman, the mother of his two-year-old daughter Royalty, recently admitted she "can't say anything positive" about co-parenting with him. She said: "Well, the world didn't find out about her until a year ago. He always knew about her, he just wasn't ready to deal with the situation. But, it's been quite the experience. I can't say anything positive about it ... at all. Nothing positive." The pair's feud escalated recently when Chris accused Nia of "sexualising" their daughter when she posted a photograph of Royalty on her way to ballet class in a tutu. Referencing the incident, she said: "I mean the fact that I had just spoken with him. He had already seen a video of her on her way to ballet class. To make that remark online, was totally insane to me. Because I have a phone. I have a phone, and I tried over and over and over to co-parent, to try and get this right. "She always dresses like that to dance class ... It was a funny moment, and she was leaned back looking at me because she was totally p**sed off, because it was time to go ... but she didn't want to leave." And Nia also hit back at claims she tried to get his access time reduced. She said: "I didn't go back to court to limit his time, at all ... What's in place right now, his days that he gets her, was agreed upon ... It wasn't court ordered or anything like that... all I wanted was a set nanny in place ... She's only two, and she's a lot of work. I just wanted a nanny in place when she was with him, and it be agreed upon."